The pressure is on Audi in the midsize executive sedan segment as Mercedes has already launched its facelifted C-Class, and BMW is set to unveil its next-generation 3 Series at the Paris Motor Show in October. While Mercedes chose to largely ignore the temptation to revise the styling of the C-Class in favor of new engines, Audi has gone in entirely the opposite direction by sticking with the current powerplant lineup but revising the styling. There were whisperings a 48-volt mild hybrid system might have been introduced, but as it seems this is now little more than a new model year of the A4 rather than a proper facelift, which we'll have to wait a while for. 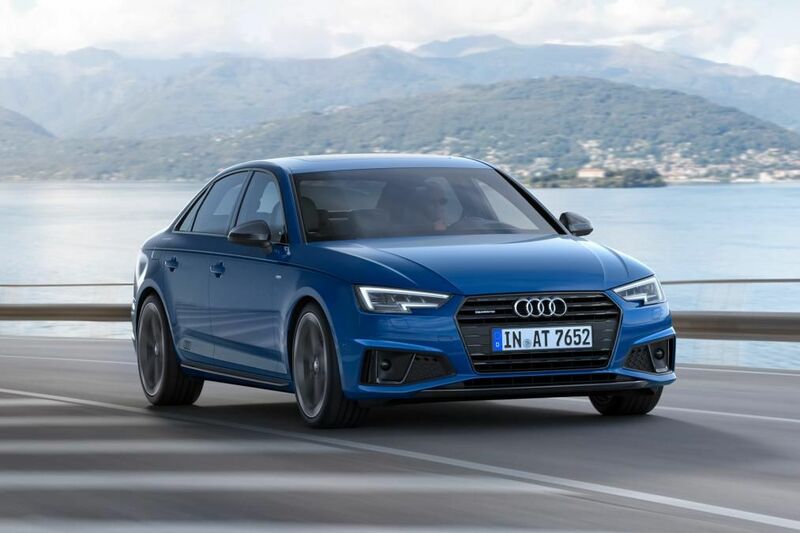 The basic SE and Sport versions of the A4 have been given more striking looks thanks to updated front and rear bumpers, side skirts, and a new finish on the side air inlet grilles. Avant wagon versions now get a spoiler, while A4 Sport models now come standard with 18-inch alloy wheels. S Line versions get even sportier with a revised front apron with more pronounced, angular vents and a set of standard 19-inch alloys. Audi has also announced a competition equipment package for the new A4 S Line too, but it will only be available in select markets. It also appears Audi isn't resting on its laurels at the top of its range either as a Q9 looks to be in the pipeline as a future rival to the Range Rover. Having only just launched its new flagship Q8, CEO and chairman Rupert Stadler refused to rule out an even larger and more luxurious crossover when questioned about it by the UK's Autocar. When asked about a Q9, Stadler told Autocar "Time will tell. The customers will tell us what they want in the future."